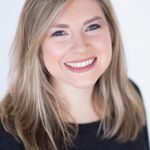 Raleigh-Durham couples hoping to find a Southern setting for “I dos” should check out these charming barn wedding venues in and around Raleigh, North Carolina. 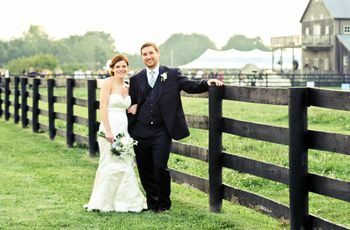 Barn wedding venues in Raleigh, North Carolina provide the perfect setting for a rural celebration. 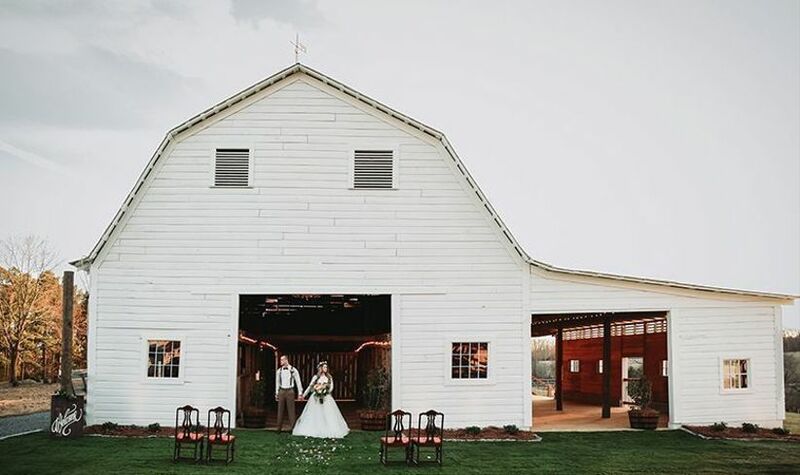 Featuring vaulted ceilings, exposed wooden beams, and open pasture backdrops, we can’t think of a better place for couples in the Triangle area to exchange “I dos.” So, if you’re getting married in North Carolina and looking for a venue that has a bit of country flair, we’ve got you covered. Whether they’re located in the Raleigh-Durham area or just outside the city, we rounded up the best barn wedding venues in (or nearby!) Raleigh, North Carolina. Trust us, these barn wedding venues in Raleigh, North Carolina are meant for a rustic affair. Located near the heart of Raleigh, The Meadows at Firefly Farm Preserve is a stunning 155-acre farm that creates a one-of-a-kind setting for vows and celebrating. The unique heritage farm provides several day rentals for couples to utilize for their special day. The most popular event space is the Heron Hall, which is an indoor and outdoor facility that evokes a rustic, industrial chic vibe, thanks to its green-roof trellis and oversized glass roll-up doors. 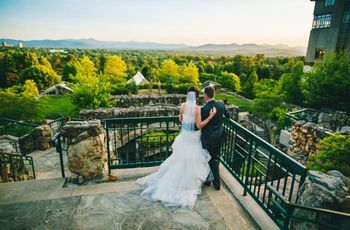 Along with Heron Hall, The Meadows also has two other properties on the estate, the Aerie House and The Roost, that couples can use as a bridal or groom suite for getting ready. With a maximum capacity of 500 guests and a variety of wedding packages that couples can choose from, The Meadows at Firefly Farm Preserve is definitely one of our favorite rustic wedding venues in Raleigh, North Carolina. 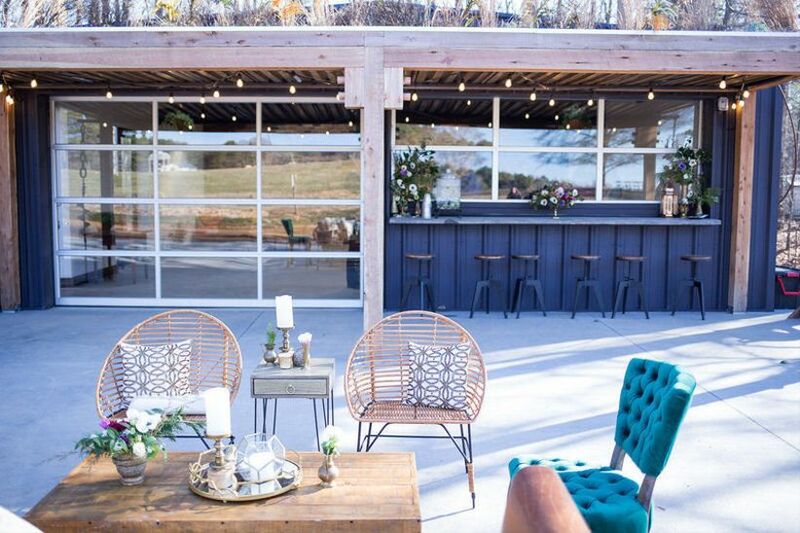 Country-loving couples looking for a rustic wedding venue in Raleigh, North Carolina will fall in love with the The Pavilion at Carriage Farm. Featuring an open-air red pavilion and a garden ceremony site, The Pavilion at Carriage Farm is known for hosting all types of wedding-related events. The Pavilion can also hold up to 500 guests, so those with a bigger guest count can go all out when it comes to their grand celebration. From laid-back receptions to formal-sit down dinners, this 112-acre property is a great option if you’re wanting a country backdrop on your big day. Another popular barn wedding venue near Raleigh, North Carolina is The Barn at Valhalla. Located about 10 minutes from Chapel Hill and about 30 minutes from Raleigh/Durham, this barn venue is a fabulous choice for a rustic bash. 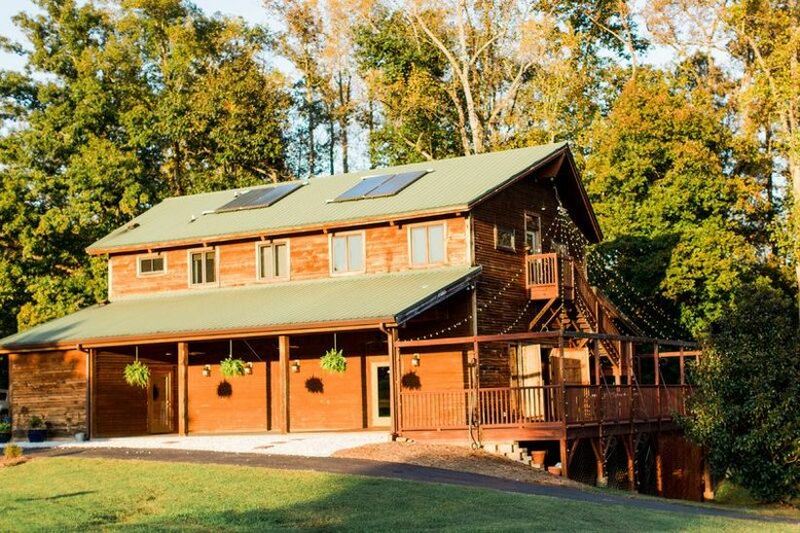 The Barn at Valhalla offers couples an eclectic barn that includes polished wood floors, high ceilings, and even a wraparound deck that overlooks the property’s pond (hello swoon-worthy couple portraits!). Upstairs in the barn is a loft space that can also be used as a getting ready area for bridal parties and more. 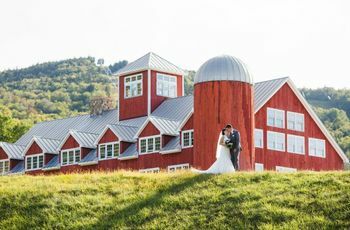 With enough room to hold up to 250 guests, The Barn at Valhalla is an ideal location for all types of couples and wedding styles. 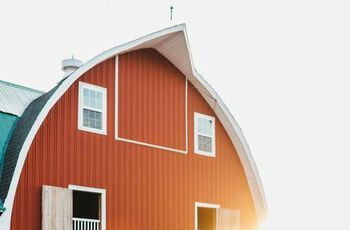 The barn at Fearrington Village attracts couples from all over the Raleigh-Durham area because it’s a killer spot for hosting a country chic celebration. 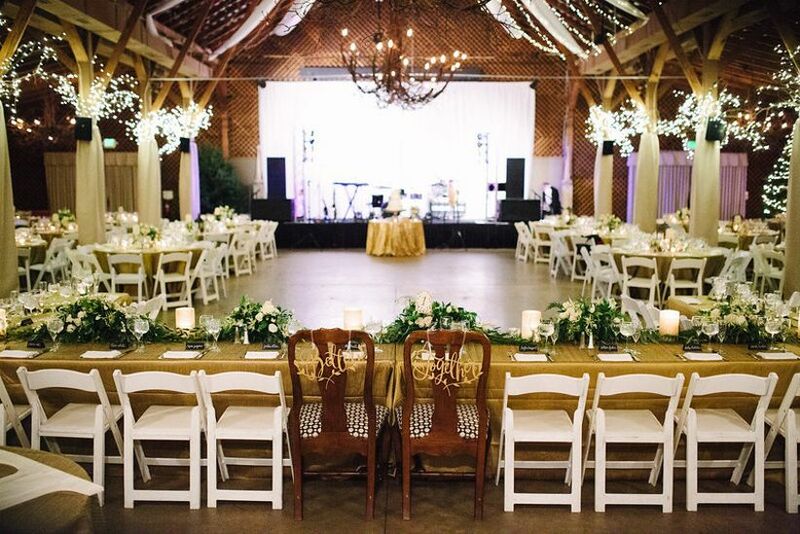 The vintage, 1927 barn creates an elegant aesthetic for ceremonies, sit-down dinners, dancing, and more. With high ceilings that chandeliers can dangle from to the barn’s rich wooden interior, couples can transform the space into the ultimate romantic setting. Along with its exquisite aesthetic, the barn includes use of the Fearrington’s wonderful on-site team to ensure everything runs smoothly on the big day. Whether you’re envisioning a laid-back affair or a reception that’s glammed up, Fearrington Village definitely should be added to your venue list. 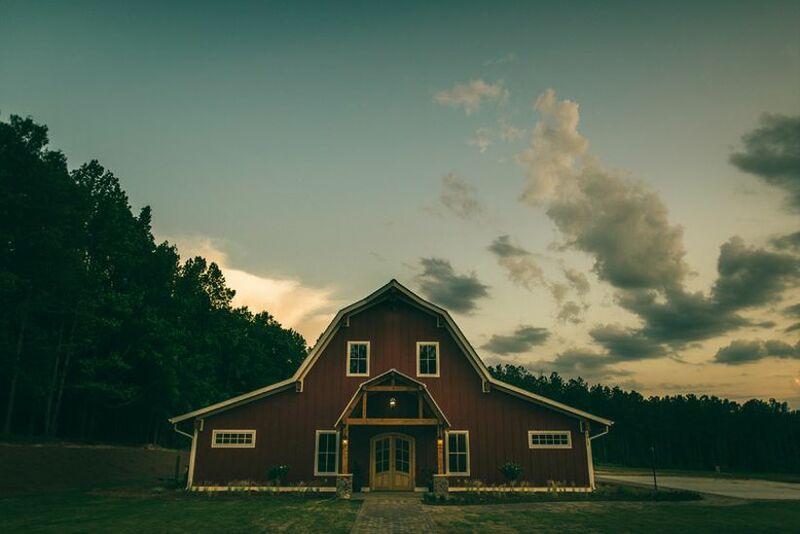 Nestled in Trinity, The Barn at Royal Gait is one of our favorite barn wedding venues that’s just outside of Raleigh, North Carolina. The Barn at Royal Gait is a premier barn wedding venue because it overlooks the stunning rolling hills of Randolph County. Built back in 1938, couples can easily hold a small or larger scale wedding, since the venue accommodates up to 225 guests. 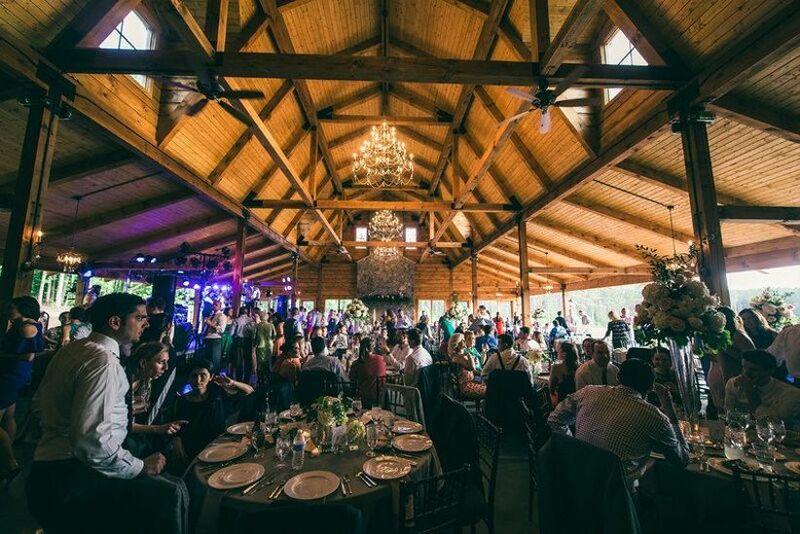 Featuring beautiful hardwood floors, vintage chandeliers, and breathtaking views, The Barn at Royal Gait is a perfect pick for couples looking for a venue that’s the epitome of Southern charm.